Little, Brown and Company, 9780316319195, 304pp. David Perlmutter, MD, is a board-certified neurologist and a Fellow of the American College of Nutrition. He was the recipient of the Linus Pauling Award for his innovative approaches to neurological disorders. With his books now published in twenty-seven languages, Dr. Perlmutter is setting new standards for what healthy lifestyle means around the world. 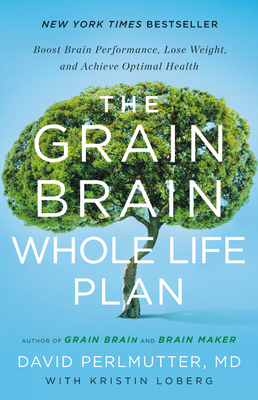 He is the author of the New York Times bestsellers Grain Brain, The Grain Brain Cookbook, and Brain Maker, as well as The Better Brain Book and Raise a Smarter Child by Kindergarten. He lives in Naples, Florida.